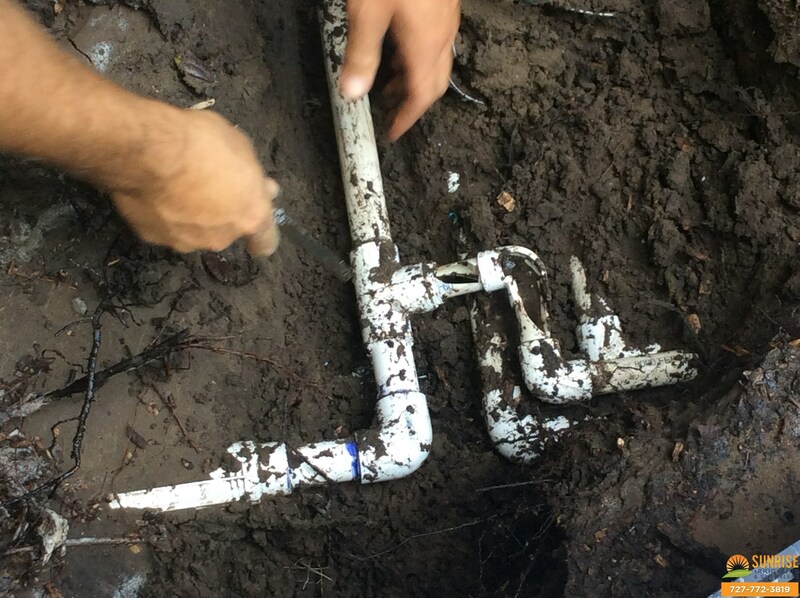 At Sunrise Irrigation & Sprinklers, we are proud of the work we do. 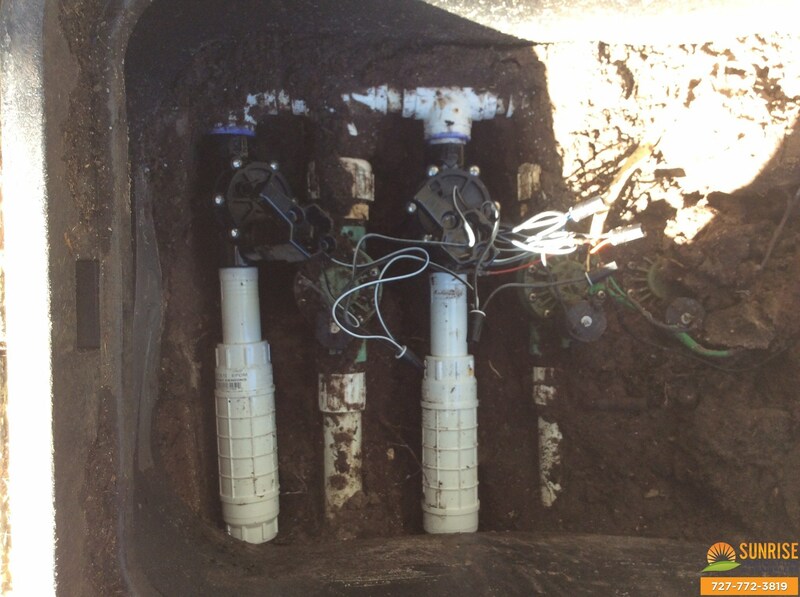 For a glimpse into some of the irrigation and sprinkler projects we’ve managed, check out the images below. 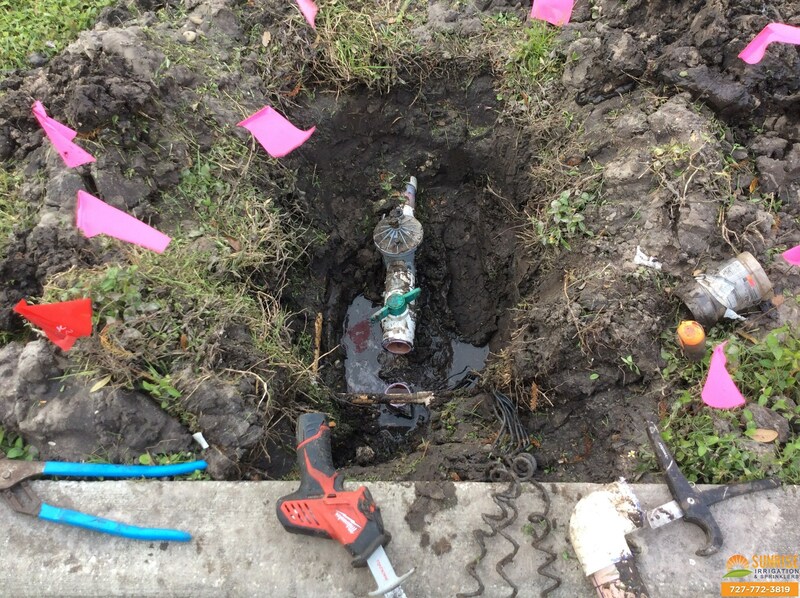 A picture is worth a thousand words, but if you want to witness our irrigation services firsthand, do not hesitate to get in touch. We’d love the opportunity to show you what our highly qualified lawn care experts can do for your home or commercial property. Give us a call at 727-772-3819 to get the conversation started! 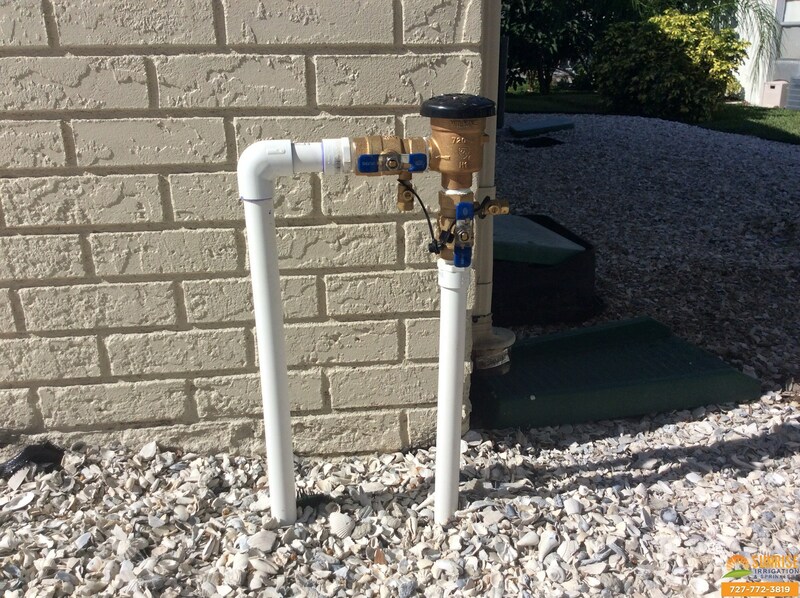 DIY install gone wrong with valves not properly installed. 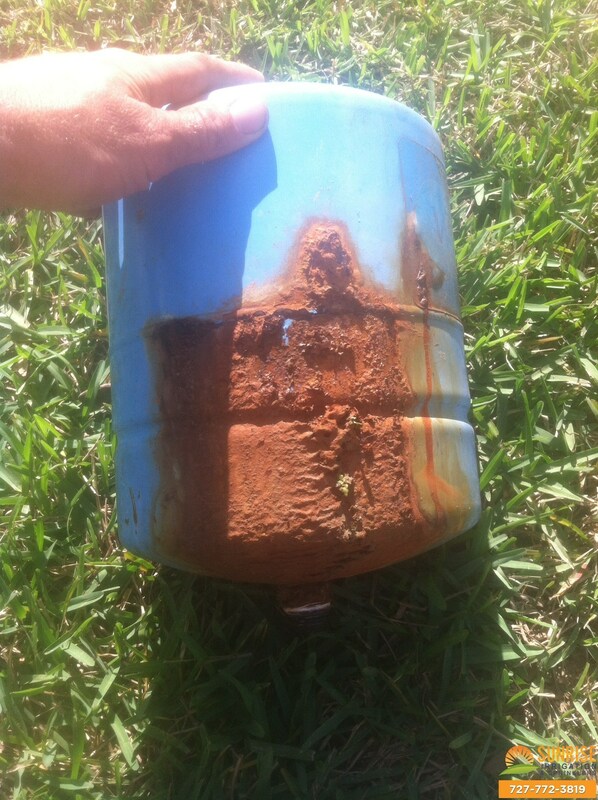 A bad valve we removed from a commercial irrigation system at a Palm Harbor Walmart. An old lake screen next to a new style screen installed at a townhome community (notice twice the surface area). 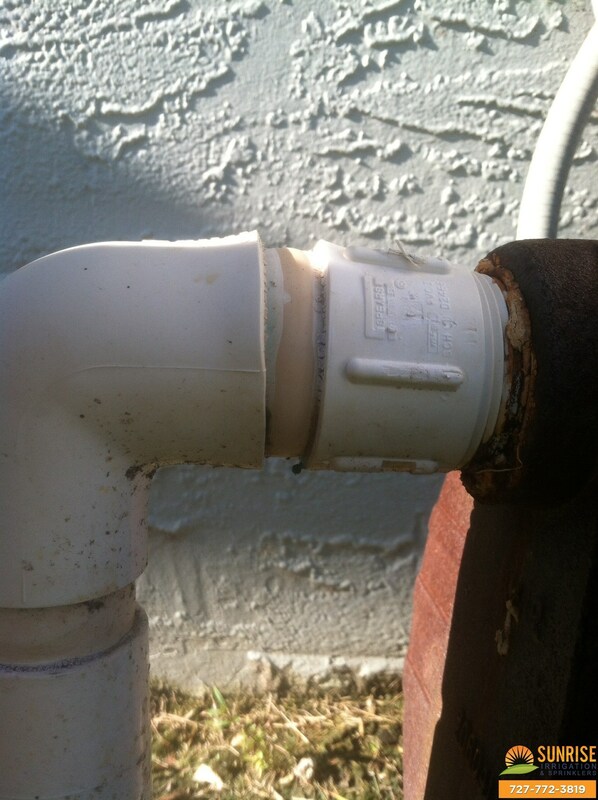 A picture of a ruptured mainline pipe from a residential sprinkler system. 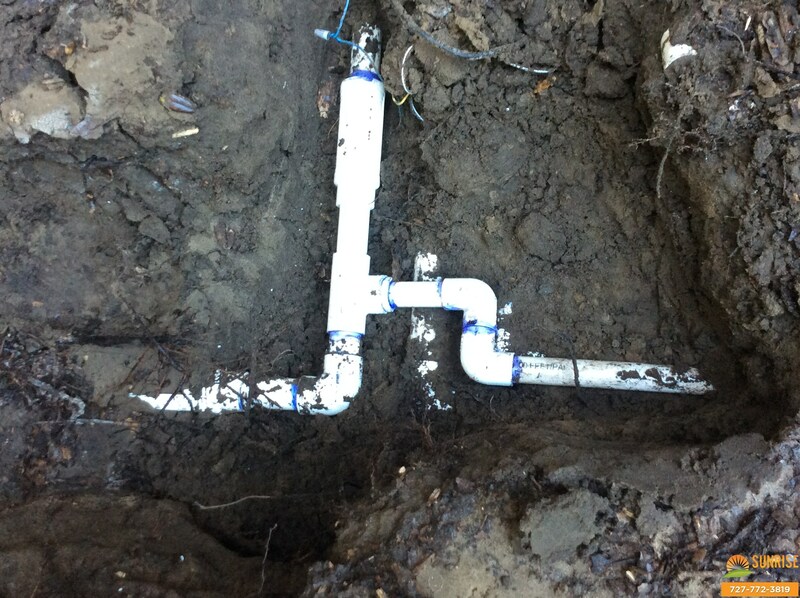 The same mainline pipe, repaired. 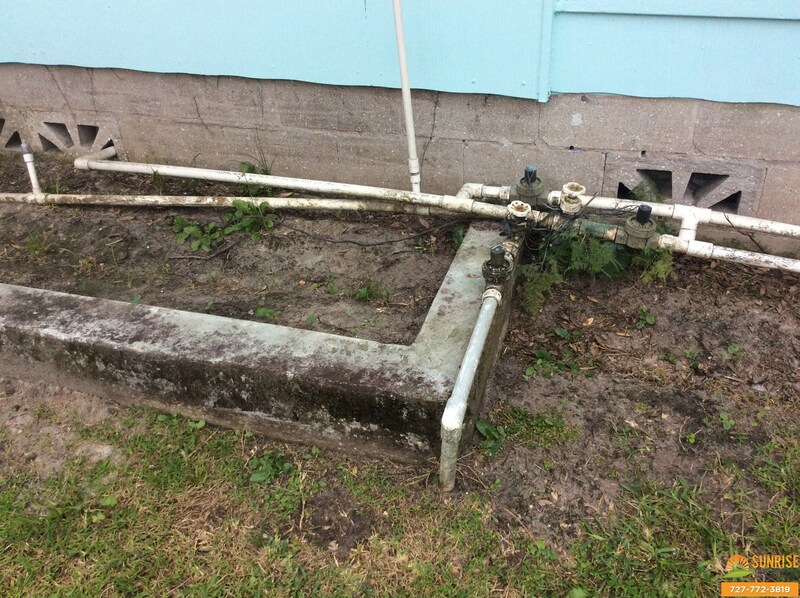 Required in some counties for preventing irrigation water contaminating the house water. 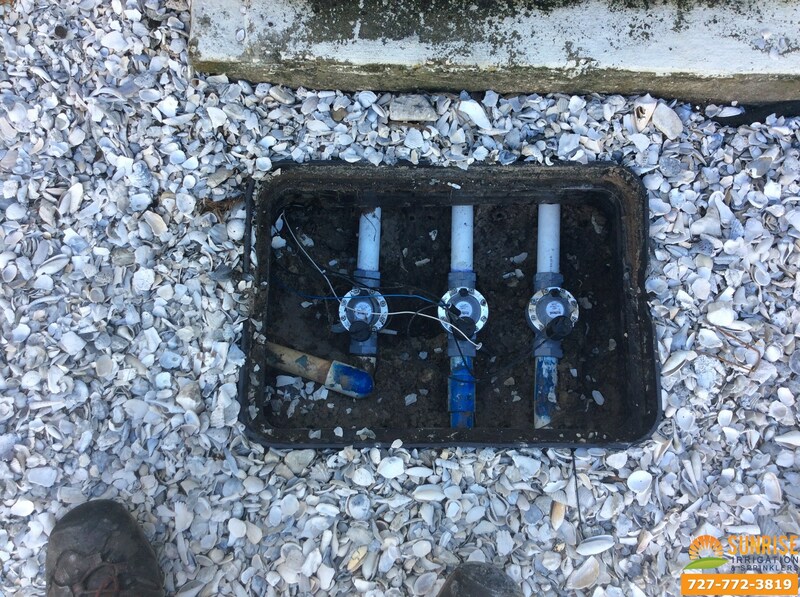 Some new valves that needed to be cut out and replaced. Pressure tank that split at the seam. We replaced it, of course. 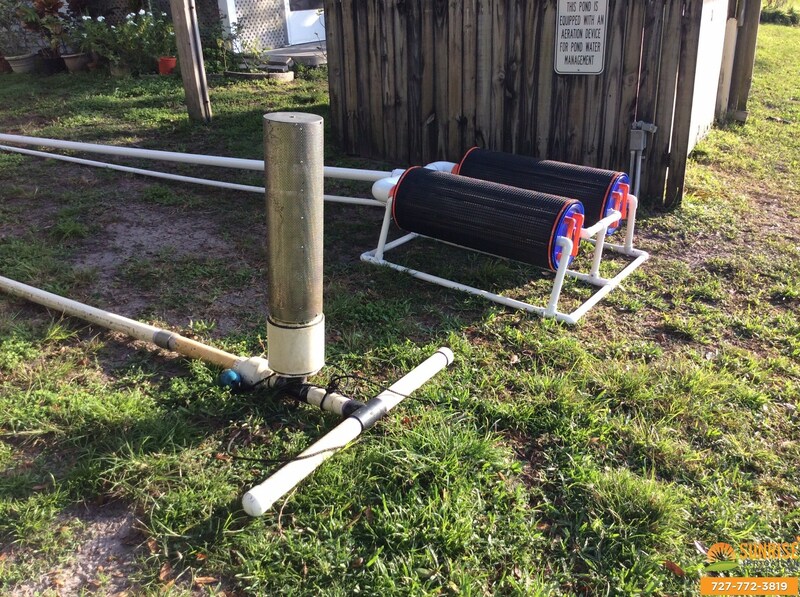 Suction line on a pump that has been swollen because of a bad irrigation valve.